Lindy lives in Southern California with her husband of 26 years, attorney Mike Michaelis. She has three adult children: Ryan, Jessi, and Tyler. Along with touring with The New Chordettes, Lindy has worked in the fitness industry as a personal trainer and group fitness instructor for the past 20 years. She has enjoyed teaching spinning, kickboxing, strength training and yoga/palates formats and has even brought line dancing into the gym for exercise. On June 19, 2001, Lindy’s life changed forever when her oldest son, Ryan Corbin, stepped through a skylight on the roof of his apartment building and fell several stories to a concrete floor. Ryan is still at home recovering from his traumatic brain injury (TBI) and Lindy coordinates Ryan’s care. In 2003, the Boone family started a foundation called Ryan’s Reach to help provide information and resources for survivors of TBI and their families. Lindy has a book titled “Heaven Hears” published by Tyndale House Publishing detailing the accident and the long journey she and Ryan and the Boone family have been on toward his recovery and giving an account of how God has sustained her and the family through the roller coaster of traumatic brain injury. The book is scheduled to be released around Mother’s Day, 2013. All the proceeds will go to Ryan’s Reach. It’s not surprising that Robin Whitmore has spent her lifetime performing. She almost had no choice. With grandparents who were vaudeville performers, a mother who was a music teacher and singer, a father in radio and a sister who was trained in opera, she never knew what it was like to live in a house devoid of music. As a teenager, Robin was already touring the world with a youth chorale and when she was old enough to snag a job….well, naturally it was in the music field. She was chosen from singers all over America to be a member of the very first Kids of the Kingdom at Disneyland. She was then chosen by Disney to be a part of their touring group that was sent to Japan to promote the opening of Tokyo Disney. After leaving Disney, Robin tried her hand as a studio singer, but almost immediately was asked to join Perry Como’s show, where she was employed for 8 years. And in between all those performances, she still found time to appear in numerous television specials on CBS, PBS (with John Williams and the Boston Pops) and even a performance for the Super Bowl halftime! She’s worked with Jay Leno, Dolly Parton, Red Skelton and dozens of other superstars through the years, not to mention appearing with Burt Reynolds, Dom Deloise and Dolly Parton in the movie hit, Best Little Whorehouse in Texas. But Robin finally found her musical home with The New Chordettes. And for Robin, performing with this group has been more than just a job. “These are my closest friends. We’ve all gone through so much together through the years; these girls are more like my sisters,” she says. “When any one of us is going through something in their lives, we all go through it with her.” Which makes sense. For Robin Whitmore, music and family just seem to go together. Judy can’t remember a time when she didn’t love to sing. She was raised in a home that was filled with music by a mother who was herself an accomplished singer. It was only natural that she would follow in her footsteps. Judy started singing solos at a young age and continued to develop her skills through singing in many choirs and small ensembles, both in church and school. It was through the singing of church hymns that she developed a true love of chord structure and harmony. After studying voice through high school and then college at Azusa Pacific, she married the love of her life, Bob, who had once been her church choir director. It was the perfect musical pairing and together they traveled through Europe during the 70’s performing with different groups in eight different countries and in all types of venues. 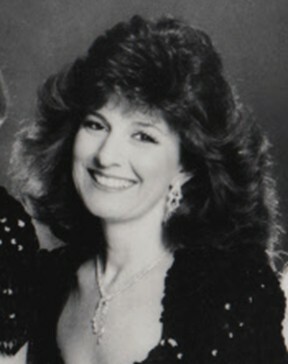 In 1986 she and her husband, who was by then the leader of the singing group The Diamonds, formed The New Chordettes. They felt it was time to revive the lush harmonies not only of Mr. Sandman, Lollipop, Never on Sunday and Eddie My Love, but also the hits of other great 50’s and 60’s “girls groups” including The Supremes, The Shirelles, The McGuire Sisters, The Andrews Sisters, The Crystals, and The Marvelettes, just to name a few. It was an era when songs were fun and understandable but what sets The New Chordettes apart though, is that they infuse all these great “girls group” songs with their 4-part harmony, creating an even richer sound. 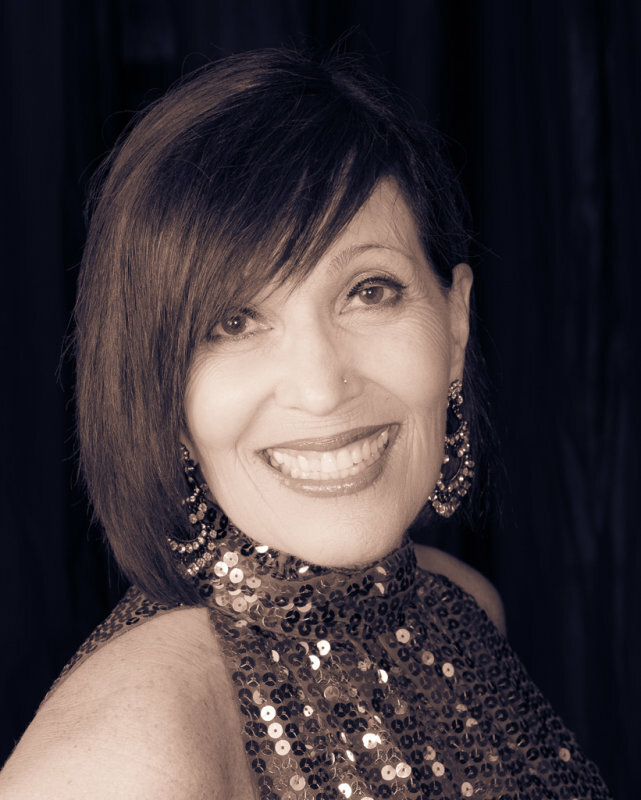 Judy is the glue that holds The New Chordettes together and under her direction they have traveled and performed in 46 of the 50 states plus Canada, Mexico, Puerto Rico, Brazil, Japan, and Korea. Bob and Judy have been married for 43 years and they are the proud parents of 2 grown children, Chris and Jenny, and also the proud grandparents to 7 bassett hounds… Judy took her children on the road with her while they were growing up, creating lots of fun family times and great memories. Currently she and Bob, who is now a member of The Four Preps singing group famous for 26 Miles Across the Sea, often travel on the road together performing with their two groups. Judy is an accomplished seamstress and has created and adorned many costumes for The New Chordettes. Born and raised on the beaches of Southern California, she is a true California girl! Candace’s passion for singing has been a lifelong one which has resulted in her mastering many vocal styles from classical to gospel, musical theater to doo wop, and jazz. She takes particular joy in singing multi-part harmonies, a skill which she started to develop as a young child while singing with her family. She credits Mrs. Bell, Mr. Marvin Brown and Mr. George Greb for their early musical influences in her life. Candace’s love of choral music makes her perfectly suited to sing the lush harmonies of The New Chordettes! Candace is committed to “paying it forward” so as to guide students of all ages to their own God-given voice and to discover the joys of expressing one’s self through song and performance. She has been honored by being voted the Rotary Club’s “Living Treasure” in 2012 for her musical volunteerism in the community, most notably by establishing elementary after school choral programs. Many hundreds of kids have found their voices and developed their talent through Candace’s tutelage. Candace is currently a church Music Director, as well as the director of the a cappella group, The Grace Notes. She has been vocal director for many musical productions including Sound of Music, South Pacific and Showboat, just to name a few, and currently holds the prestigious Four Star Theater Award for Best Musical Director. She also developed and currently directs and stars in “The Nanas & Papas”, a musical revue dedicated to grandparenting, a subject that is near and dear to her heart. Candace teaches private voice lessons to singers of all ages. She resides with her husband of 44 years, Ken, who is a well-known accomplished percussionist. They have 3 children, Sara, Lara and Walker, and they are the proud grandparents of precious Jacob Andrew and his baby sister, Isla McConnell.